SiS Distribution is a wholesaler for IT business, specializing in distributing IT products in Thailand. It sells many renowned brands worldwide, and is a leading distributor for IT products in Thailand. SiS Distribution owns a large warehouse for storing technology and electronics goods. 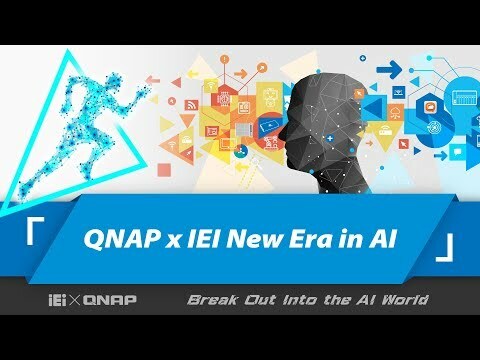 It is needed to keep watching over its warehoused goods 24/7, and the all-IP surveillance solution from QNAP® was adopted to fulfill this task. Management level can monitor the warehouse from the head office and branches remotely, paying close attention to any event regarding people safety, warehouse capacity and inventory security. However, a recent expansion left the warehouse with monitoring gaps. While the goods stored increased and the operation in the warehouse became heavier, SiS Distribution's management team required a surveillance solution that could grow with its needs simultaneously without sacrificing the existing video surveillance investment. Downtime was also unacceptable because the warehouse stocked valuable electronics and high-end IT equipments. In the initial phase, SiS Distribution chose QNAP NVRs for its surveillance solution, deploying 10 units of QNAP® VioStor VS-8024U-RP NVR to get connected with more than 60 IP cameras from Axis® Communications. Based on the good experiences over the years, such as ease for use and deployment, integration with a wide range of the network cameras, web-based GUI monitoring enabling remote management, and supportive data backup in local drives or remote storages, SiS Distribution decided to go on implementing QNAP NVRs with the familiar management interface and numerous useful functions. 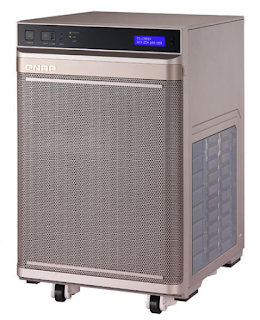 "QNAP NVR surveillance solution has gained our confidence and trust. We need to count on its reliability and stability to fulfill the security of the enlarged warehouse," said a representative from SiS Distribution. In the second phase for expansion, 12 units of QNAP® VioStor VS-8024U-RP NVR were deployed, along with 138 Axis® network cameras. This comprehensive deployment enhanced the security around the warehouse and prevented the blind spots for people and goods protection. Besides, the setup for motion-detected recording helped keep storage low costs due to the NVRs only recorded valid events. Now, security administrators can easily monitor activities on the warehouse floor or in the office, anytime and anywhere. QNAP's networked surveillance solution significantly benefited security administrators and operations of SiS Distribution warehouse. The management acknowledged that the implementation of QNAP NVRs was rewarding, especially the scalability could fully support the expansion of surveillance deployment. Furthermore, the user-friendly interface effectively made 40 percent reduction on cost of administration and maintenance. Now, the warehouse of SiS Distribution operates with larger amount of goods moved in and out and people busy walking around. All the activities are well taken care of by QNAP NVR surveillance system in a more secure environment.